Seated from left are Emily Weston, NP, and Jessica Digby, PA. Standing from left, Micheal Stephens, MD, Mark Humphrey, DO, Robert Morgan, MD FAAFP; and Douglas Guenter, MD. OSWEGO, NY – Oswego Health is pleased to announce that one of the area’s largest primary care physician practices is joining the health system’s Physician Care P.C. Oswego Family Physicians will maintain its West Utica Street office, along with the same phone and fax numbers. The practice’s website will be redirected to oswegohealth.org, where patients will find the OFP patient portal. “By affiliating with Oswego Health, we will be able to concentrate on meeting the healthcare needs of our patients. In just the last few years, the regulatory demands on a medical practice have become cumbersome and very time consuming. Oswego Health will now administer all these requirements for us,” said Robert Morgan, MD, FAAFP Oswego Family Physicians. “This affiliation will allow us to work with their leadership team to recruit more primary care physicians to the area. Today, recruitment is not typically a task done by independent physicians. To secure the right candidate takes many months of work. We look forward to Oswego Health helping us recruit outstanding individuals who will join us in delivering care right here in our community,” said Micheal Stephens, MD, Oswego Family Physicians. 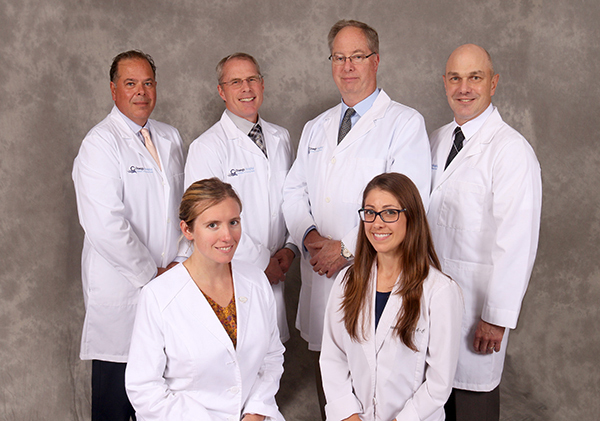 The Oswego Health captive professional corporation, Physician Care P.C., provides physician services in bariatrics, cardiology, general surgery, primary care, orthopedics, and otolaryngology (ear, nose and throat). To schedule an appointment, please call 315-342-2024.